We’d love your help. 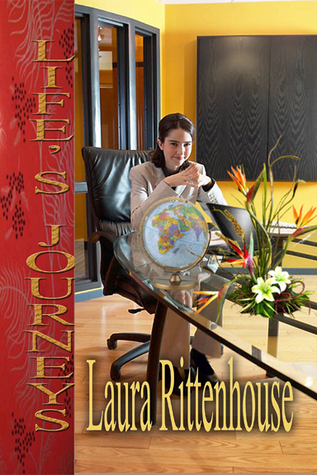 Let us know what’s wrong with this preview of Life's Journeys by Laura Rittenhouse. At 29, Sophie's future is clear, she’ll rise through the ranks to take the reins of an international conglomerate determined that neither mortal man nor corporate games can thwart her. Not, anyway, until an international merger diverts her climb down a cul-de-sac where one hurdle too many provokes her to fight back. To ask other readers questions about Life's Journeys, please sign up. Sophie's journey through the ups and downs of the IT world is constantly bugged by coming against the "boy's club" and the ubiquitous glass ceiling. Her search for true love is equally as frustrating, but with a little bit of help from friends and an ability to accept and adapt to changes, she finally manages to find a life that is rewarding and gives her hopes for the future she has always strived to find. This is an entertaining look at life today, well written and a definite must read. This is my book so you might expect me to say I loved it - which I did. It was fun to write but also fun to read. It's light hearted because the protagonist has a way of viewing her numerous obstacles with a twinkle in her eye as she pushes through. The IT world can really get you down (I'm speaking from experience here) but Sophie doesn't let it keep her down! I'm an Aussie now. I left the US back in 1988 for an extended visit and have based myself in Australia ever since. IT was my career and in the end I found it profitable but unrewarding. So I've switched gears and now write as a passion, hobby and "job". It is the opposite of IT, not profitable in the slightest, but VERY rewarding. I hope some of you manage to read one of my books, STARTING OVER or I'm an Aussie now. I left the US back in 1988 for an extended visit and have based myself in Australia ever since. IT was my career and in the end I found it profitable but unrewarding. So I've switched gears and now write as a passion, hobby and "job". It is the opposite of IT, not profitable in the slightest, but VERY rewarding. I hope some of you manage to read one of my books, STARTING OVER or LIFE'S JOURNEYS, and especially that you like reading them even one-tenth as much as I liked writing then. If all goes well, maybe you'll get a chance to read my next 2 or 3 books in the not-too-distant future as well.